CCRC is now in the process of recruiting more staff including surgeons and other doctors and they are set to join soon. Kochi: Over a month after an operation theatre of the Ernakulam Government Medical College was handed over to the Cochin Cancer Research Centre for its exclusive use, the facility has not been put to use forcing patients to wait in queue for surgeries. After prolonged dithering and bureacratic hassles, the EGMC Principal Dr V.K. Sreekala handed over the papers in this regard early February to the CCRC Director Dr Moni Kuriakose which opened the doors for CCRC to utilise the services of its four surgeons to conduct surgeries without any hassles. The four surgeons at CCRC are gynaec oncology surgeon Dr Neetha Sreedharan, head and neck surgeons Director Dr Moni Kuriakose, medical superintendet Dr P G Balagopal and Dr Sisha Liz Abraham. Now they occasionally conduct surgeries at the availbale slots in the EGMC operation theatres. CCRC is now in the process of recruiting more staff including surgeons and other doctors and they are set to join soon. “If this workforce is forced to idle, the cancer patients will suffer and the money in government coffers will be given as salary to the doctors without them delivering service. Such a situation should not be allowed. The in-patient facility promised at CCRC also has not become functional,” said Dr N.K. Sanil Kumar, leader of the Justice V R Krishna Iyer Movement that is spearheading the agitation for lifting the health profile of the district. Sanil Kumar said that the Iyer Movement has already shot off letters to Ernakulam District Collector K Muhammed Y Safirulla who is the Special Officer of CCRC demanding to immediately open the operation centre granted to CCRC and launch an IP facility. He also said that simlar message has been conveyed to Additional Chief Secretary Rajeev Sadanandan. “Everybody has now moved to the election mode and none is there to pay attention to the woes of cancer patients due to the lack of such facilities. Hence we decided to intervene,” Dr Sanil Kumar said. 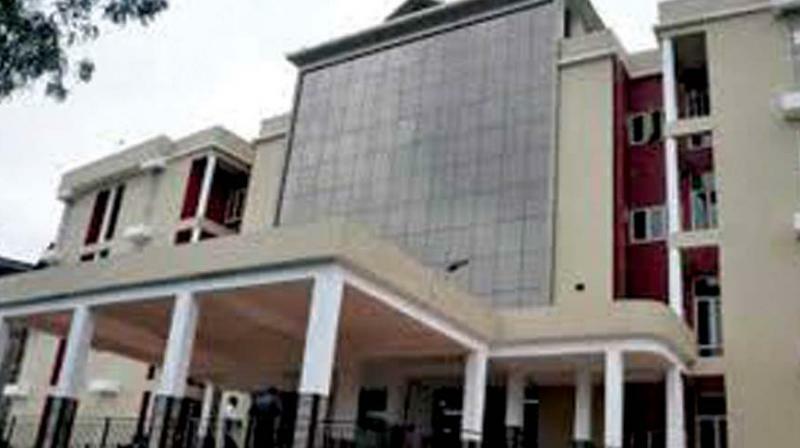 CCRC Director Dr Moni Kuriakose and the District Collector, despite attempts to contact, were unavailbale for comments.